Thirty five-year-old Major John Wesley Powell was that expedition's leader. From early childhood Powell manifested deep interest in all natural phenomena. 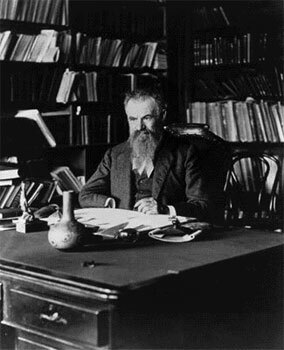 Original and self-reliant to a remarkable degree, he early undertook collecting and exploring trips quite unusual for a youth of his age, and studied botany, zoology, and geology wholly without the aid of a teacher. 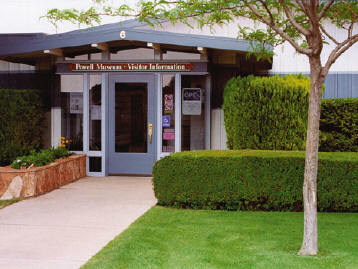 Within the museum, you can see sketches, photos and other memorabilia of Powell's epic Colorado River voyages in 1869 and 1871, along with a unique collection of Native American and pioneer artifacts. Other exhibits focus on the geology of the canyons cut by the Colorado and the history and development of Page. Films on Lake Powell, dam construction and other subjects are shown free upon request. We also feature a book store/gift shop. boat tours, raft trips, scenic air flights and Antelope Canyon tours. Sunday through Saturday 8 a.m. to 6 p.m. May through September. Weekdays 9 a.m. to 5 p.m. in other months with Saturdays scheduled as needed. Call ahead for operating and visiting hours. Closed mid-December through mid-February for cleaning, repairs, and exhibit work. Location: 6 N. Lake Powell Blvd. Corner of N. Lake Powell Blvd.